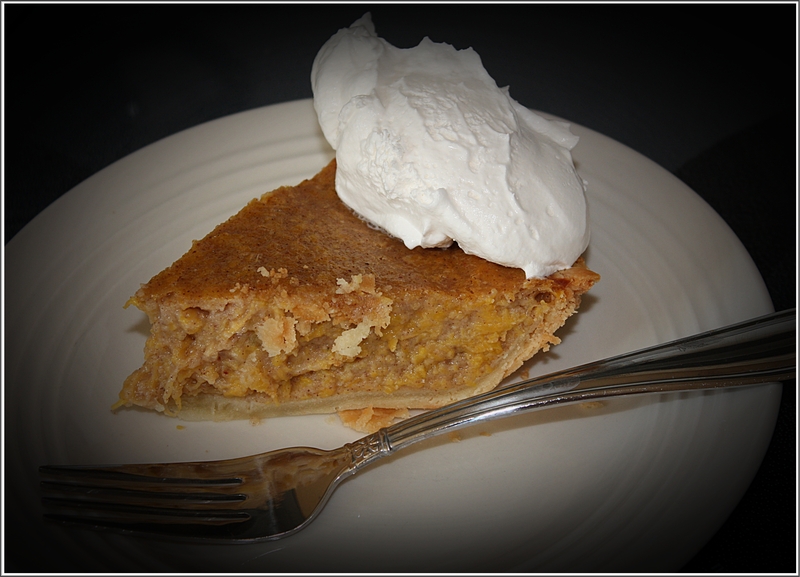 Saturday I went over to a friend’s house and we decided to make pumpkin pie from scratch. 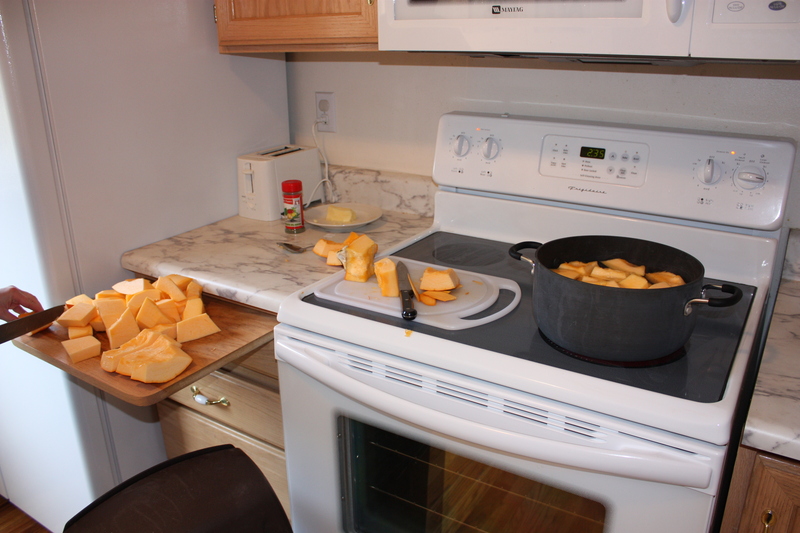 As in we cut up a pumpkin and boiled it. I’ve never seen that done, much less done it myself and I was surprised that it was super easy to make. I’m beginning to think everything is easy to make and I’ve just always thought food was hard because I never bothered to learn. Anyway, pumpkin pie is my absolute favorite type of pie and now I know the mystery of how it’s done. Of course I’ll probably stick to store bought. And yes, Pammy Girl I already know you think Pumpkin Pie has the consistency and taste of vomit – but boy are you missing out! And as I was cutting it up I noticed how much the pieces looked like cantaloupe and thought that would be a hilarious prank to pull on someone someday. Consider yourselves warned. As morbid as this may sound, a few weeks ago I told my mom that there were three things I wanted to learn from her before she died. She is nowhere near death as far as I can tell but to play it safe I really want to learn these things sooner rather than later. They are: 1. Learning her sugar cookie receipe 2. Learning her divinity receipe 3. Learning her fudge receipe. Today I successfully acheived goal number three after only two attempts. As you can see from my flickr photos, attempt number one looks like dirt and tasted like old chocolate – not good! However, attempt number two worked out fantastically!! Don’t mess with me…I’m on a baking roll!! !